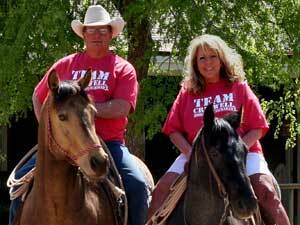 Come on in and let us show you some good using horses. 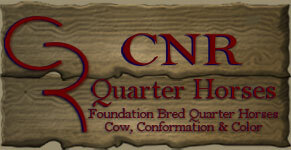 We are proud to offer quality quarter horses for sale that are able to get the job done...whatever that may be. 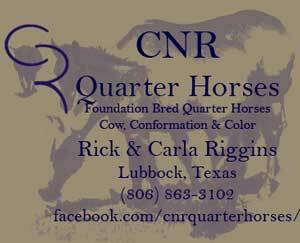 CNR Quarter Horses in West Texas proudly offers Joe Hancock ~ Blue Valentine bred quarter horses for sale. It is our belief that a good horse starts with good breeding. We raise foundation bred quarter horses that are bred for their mind, disposition and their athletic ability to get things done. Our horses have plenty of bone and good hard feet and haven't found one of them that couldn't last all day. That is what we like so well about breeding for the foundation bloodlines that have proven themselves over and over and are still so highly regarded and sought after in today's horse. 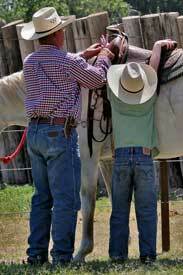 Our mares have these qualities and are passing them on to their babies. 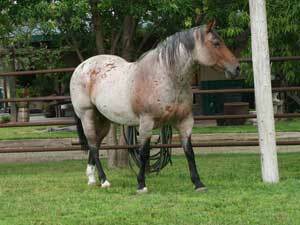 The foals are imprinted at birth and are handled everyday. 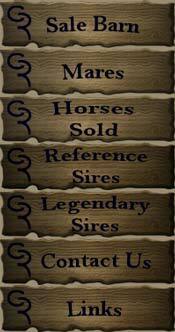 Being able to produce the roans, duns, buckskins or grullo quarter horses is just an added benefit of breeding the great bloodlines that have stood the test of time.